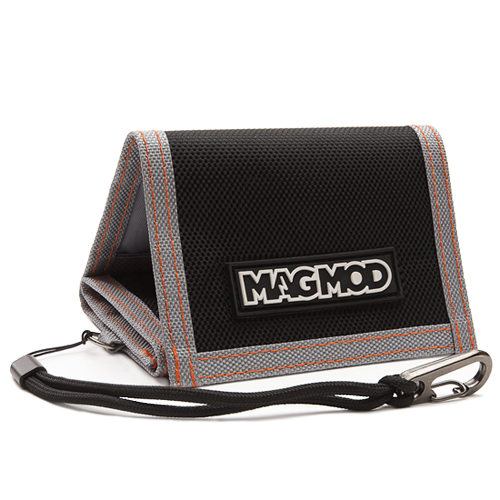 MagMod is all about making life easier. Thanks to its magnetic design, these flash diffusers and light modifiers simplify your work so you can be more creative under challenging shoot conditions. 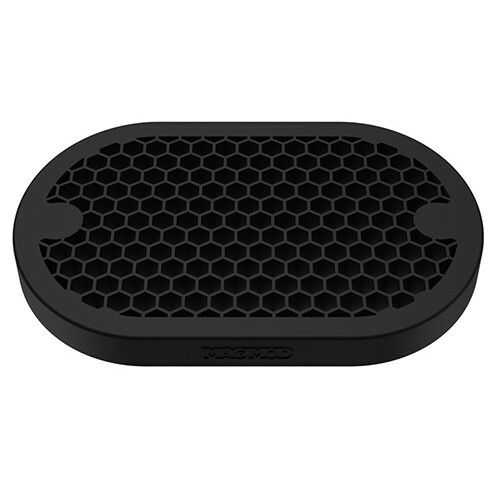 MagMod products are designed to work together. Its modularity makes it easy to combine multiple modifiers, stack gels or even integrate multiple gels with multiple modifiers. Use the MagSphere to transform harsh light into soft omnidirectional light with beautiful fall-off. 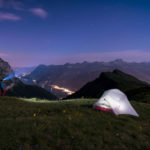 It increases the size of your light-emitting surface by over 250% for a softer glow over a bigger area, and it loses less than one stop of light, versus 2-4x times the amount of light loss from other modifiers. Use the MagBounce as pocket-sized softbox that creates even diffused light with wide flash coverage. 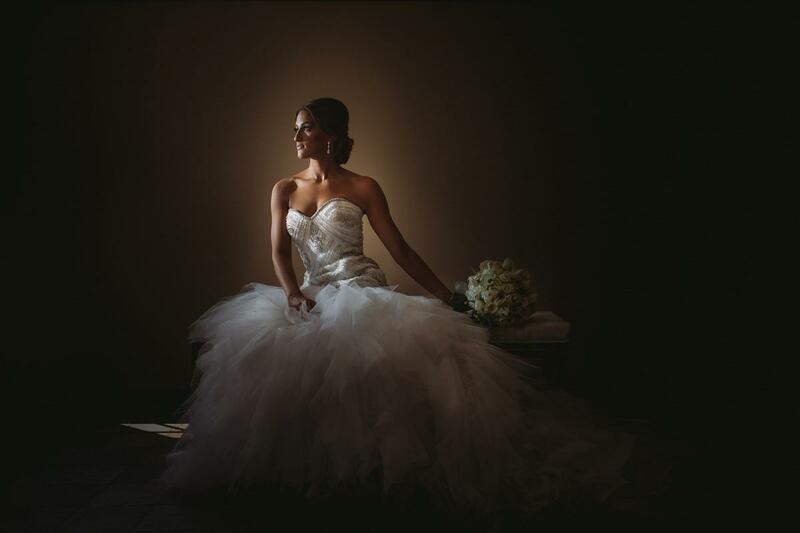 A wedding photographer must-have, it is great for outdoor reception and group photos. It increases the apparent size of your flash by 300%, and its white silicone texture diffuses light without significantly decreasing output like other modifiers. Thanks to the 360-degree rotation, you can use it to shoot portrait or landscape. 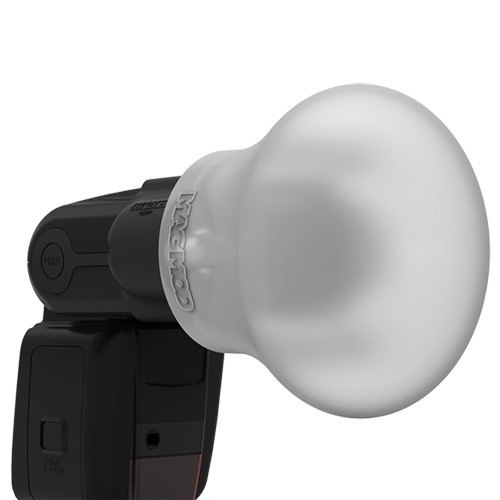 Use the MagSnoot (in combination with the MagGrip) as a hair light or highlight that funnels the light of your flash into a focused beam. This versatile modifier instantly collapses into four different stages to give you four unique beam patterns for precise control over your light. 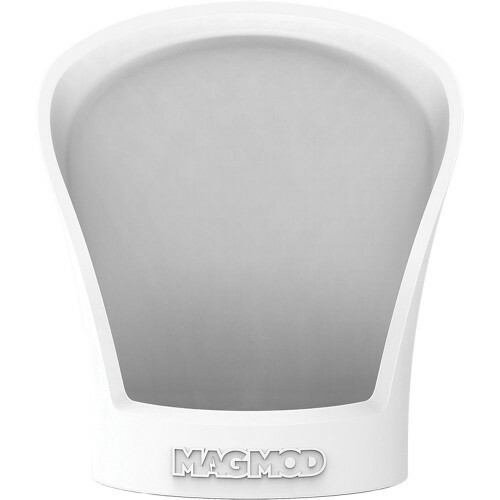 Use the MagGrid to optimise the beam pattern and provide even light coverage that eliminates unwanted light spill. 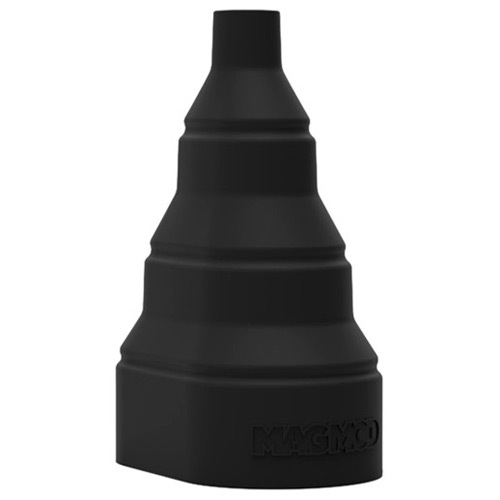 A single MagGrid focuses your light into a precision 40-degree beam pattern with minimal spill and hotspots. Add more MagGrids for even greater control. Use MagGels (in combination with the MagGrip) to diffuse light and add colour even under challenging shooting conditions. Within 2 secs, you can pop up to three or four rigid gels into the MagGel for an infinite number of creative lighting possibilities. Choose your preferred gel set for an instant pop of colour. 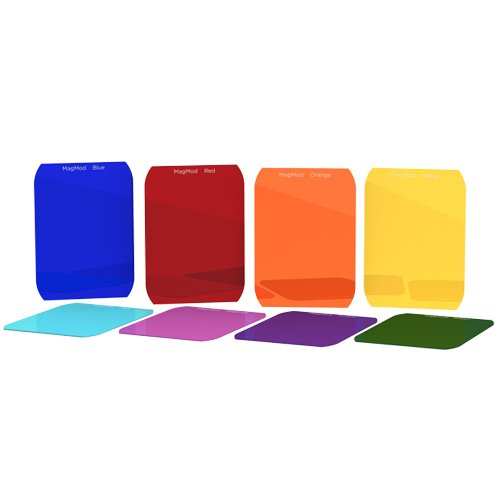 Creative Gel Set: Red, orange, yellow, green, blue, teal, purple and magenta. Artistic Gel Set: Rose, coral, amber, lime, aqua, cyan, lavender and pink. 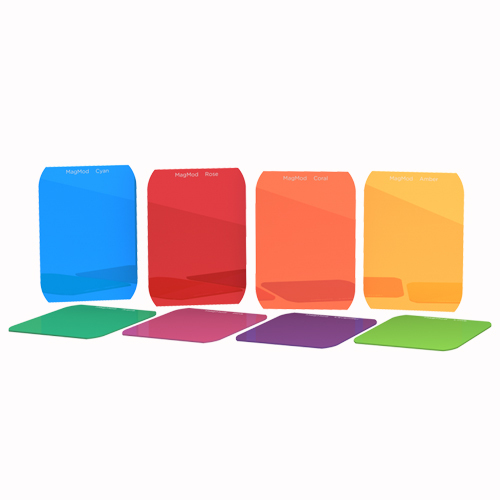 Use the MagGel Wallet V2 to fit up to 24 gels and 12 MagMasks (all at the same time). 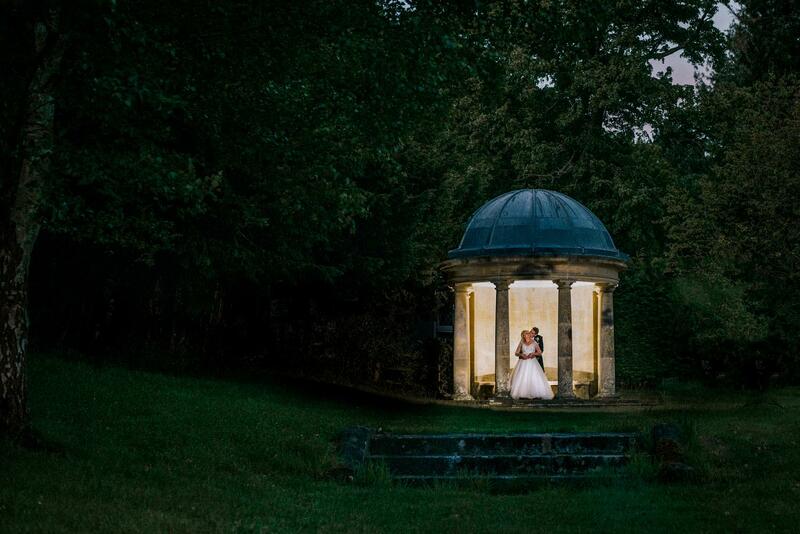 Use the MagGrip to stack other MagMod magnetic modifiers into your flash, allowing you to control the colour, shape, and level of light in your shot. 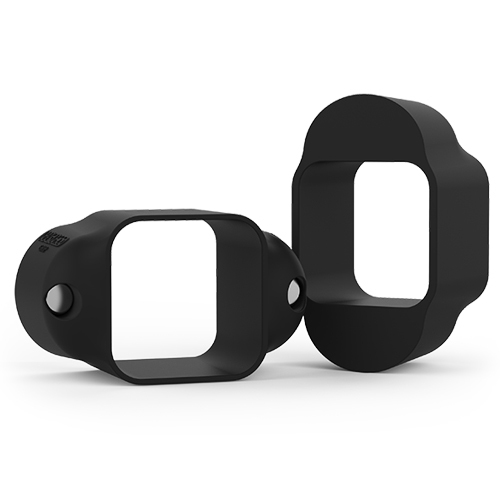 It’s a flexible silicone band stretches over your flash and stays put no matter what you do. The universal design allows it to attach to almost any hot-shoe flash.